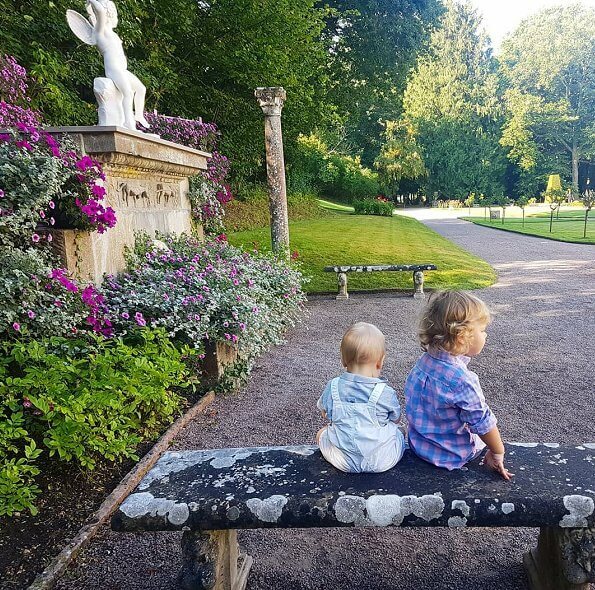 Today, Prince Carl Philip and Princess Sofia of Sweden shared a photo showing together Prince Alexander and Prince Gabriel on their Instagram account. The photo was taken at Solliden Palace on the island of Öland. Lieb die beiden Jungs :) :) reizend gemacht das ganze Bild überhaupt !! How much they've grown. I wish I could see their faces, but I know they are both lovely, so cute. Wonderful garden...I can't understand why sharing this kind of photos. I am confused. Why a picture of their backs? For all we know, these can be any children. Sure, they wouldn’t take pictures of random kids, but seems weird and pointless. I guess it’s Thanks for Nothing. Madeleine put a PIC of Her kids on instagram as a summer greeting for I guess car Philip and Sofia had to do it too. None of the pics look good to me.